Environmentally friendly washable inserts for use with gPants. Made with 4 thirsty layers of fabric including baby-soft microfleece and hemp/cotton which traps the wetness and draws moisture away from baby. The pack of 6 means that you can rotate the inserts when others are being washed. 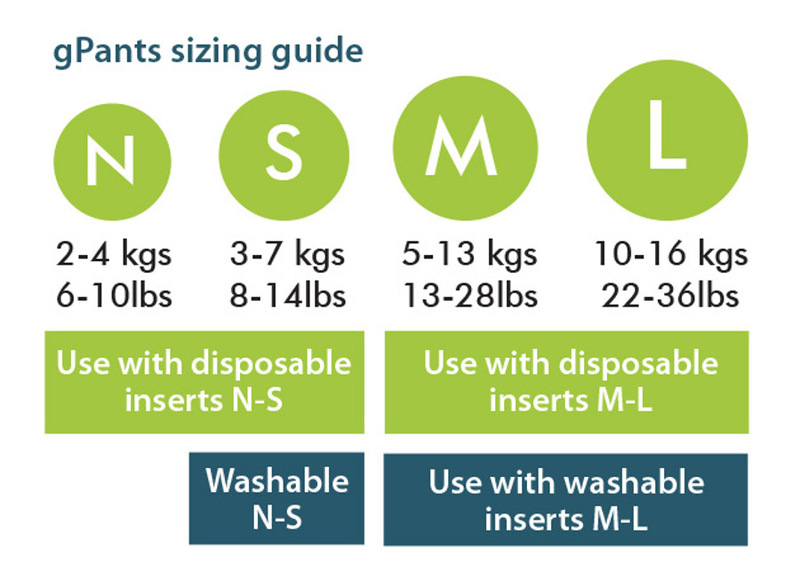 The cloth inserts need to be changed more frequently than disposable nappies. Once the nappy is soiled, simply remove the cloth insert and put in a new insert. Change out the snap in pouch when dirty. For overnight or for heavy wetters, use 2 cloth insets at one time, with the hemp sides facing each other or use a combination of a cloth insert and disposable insert. 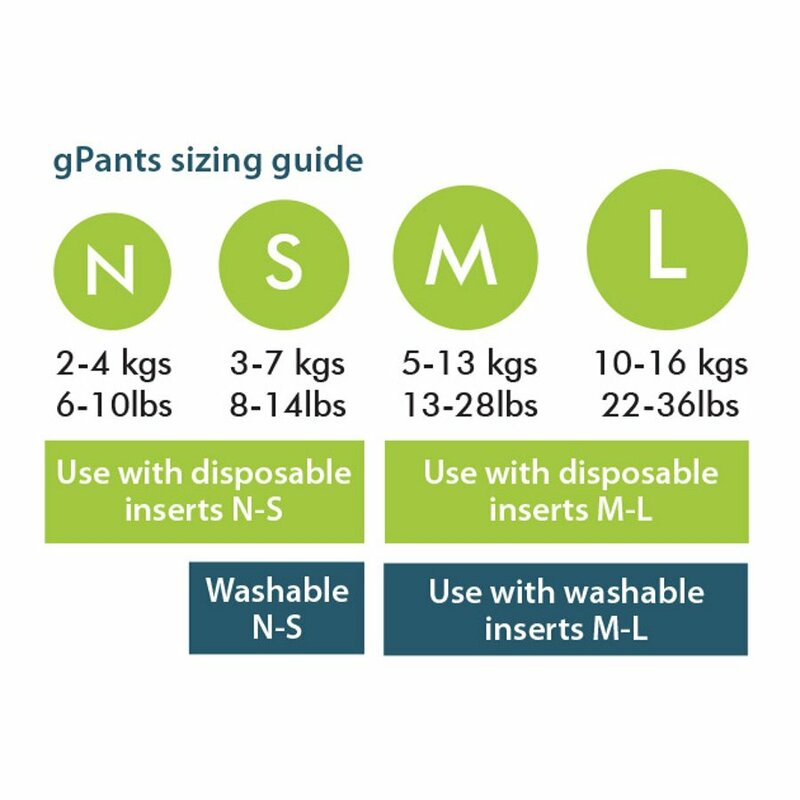 Medium – Large cloth inserts fit medium, large and extra large gPants. Click on image above for full sizing info. Prep cloth inserts before first use by washing 3x on hot with no detergent. Dry in between washes. For regular care, machine wash warm or hot with a small amount of cloth-safe detergent. Avoid using barrier creams with cloth inserts. Avoid bleach or detergents with added enzymes, whiteners, or fabric softeners. Simplicity is best. Machine or line dry. 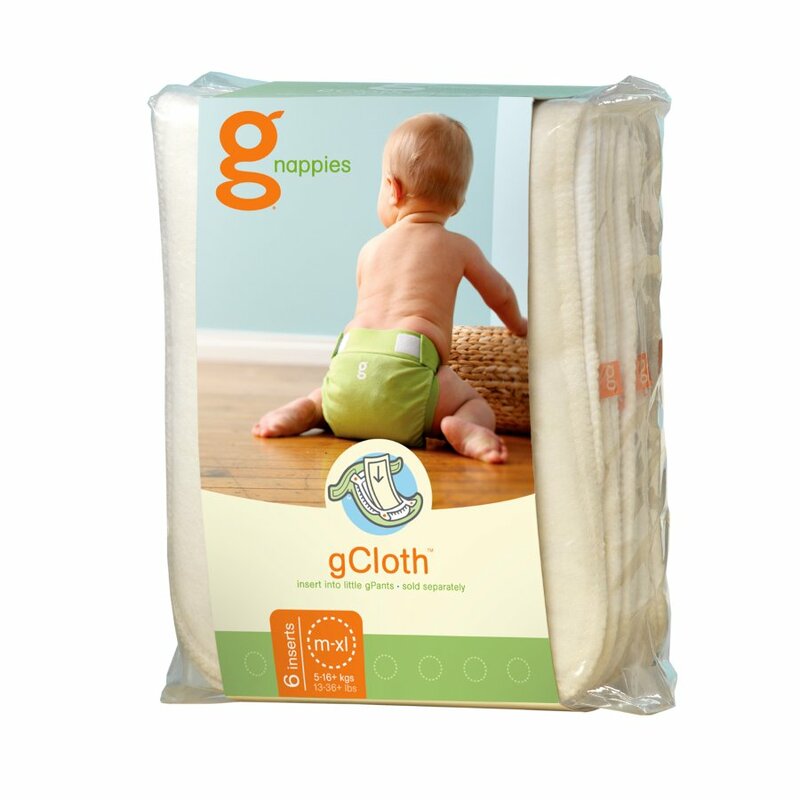 The gNappies Washable Inserts - Pack of 6 - Medium-Large product ethics are indicated below. To learn more about these product ethics and to see related products, follow the links below. There are currently no questions to display about gNappies Washable Inserts - Pack of 6 - Medium-Large.